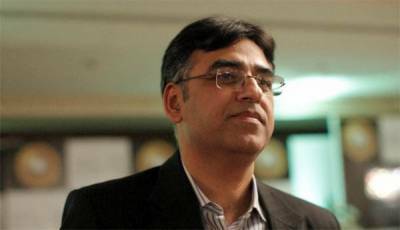 ISLAMABAD: Finance Minister Nominee Asad Umer has said that improving the living standard of people and economy was the mission of Pakistan Tehreek-e-Insaf’s (PTI) democratically elected government. Talking to a news channel, he said it was a big challenge for the PTI government to ensure the provision of all basic amenities of life to the masses. “We will have to create job opportunities for unemployed youth,” he said. “We will improve the economy and Pakistan according to the wishes of the masses,” he said adding “no nation could make progress without a strong economy”. To a question, he replied that the journey for changing the fate of Pakistan was going to begin.